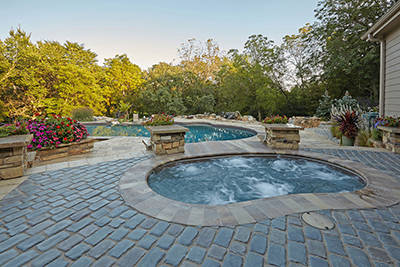 Known as the premier provider for outdoor living, pavers, waterfalls, fire features and outdoor kitchens, Elite Landscaping’s scope of work includes inground concrete swimming pools. 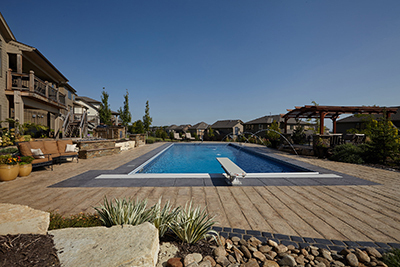 When you choose Elite Landscaping as your swimming pool contractor, you can trust that your project will be handled by the best crew in Omaha and Lincoln, NE, with a combined 50+ years experience in concrete pool installation. Our swimming pool installers are held to the highest standards both locally and nationally through ongoing training and certification, and the company’s association with Genesis, the leading concrete pool authority in the USA. 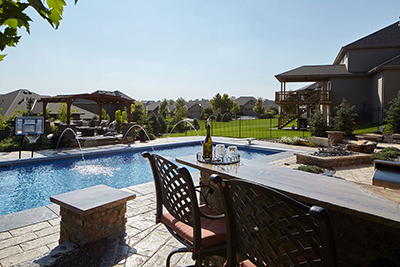 Browse Elite Landscaping's pool designs seen in premier neighborhoods throughout the Omaha, Nebraska and Lincoln, Nebraska metro areas. We are dedicated to paying special attention to the wants, needs and scheduling preferences of our clients. Our goal is to provide end products that meet and exceed all your expectations, proudly delivering a scope of swimming pool work that is the best in Omaha or Lincoln. 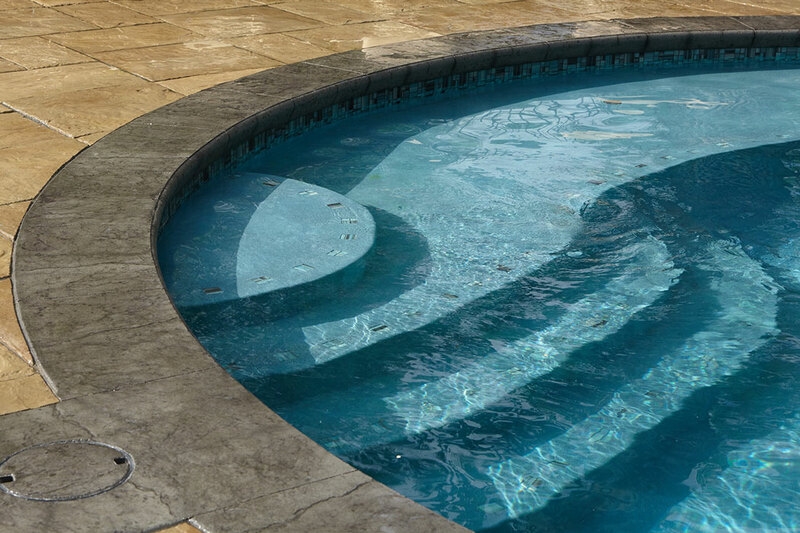 For the best possible swimming pool design, materials and installation available, contact Elite Landscaping to schedule your inground pool consultation today! Whatever swimming pool features you dream of - from zero-entry or infinity edges to playful water jets, bubblers and swim-up bars - Elite Landscaping can turn your outdoor living environment into an entertainment paradise. 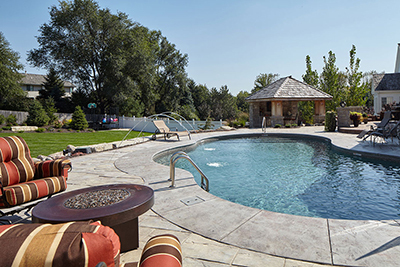 Elite Landscaping's pool installations in Omaha and Lincoln, Nebraska feature gracefully curved, custom concrete swimming pools and spas that are neatly tucked into natural stonework landscapes. Imagine enjoying quality time with friends and family in a custom, poolside cabana house with a fully stocked outdoor kitchen and bar. 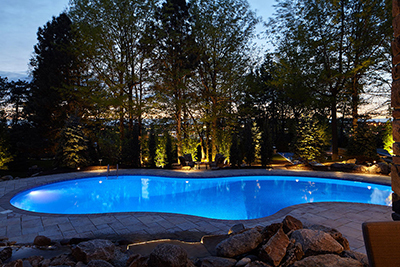 Whatever your dreams are, they are all possible with Elite Landscaping's unmatched custom pool designs and quality installation. 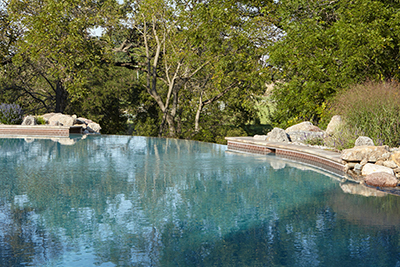 Learn more about Elite Landscaping's custom concrete pools. Anything is possible in your outdoor environment. 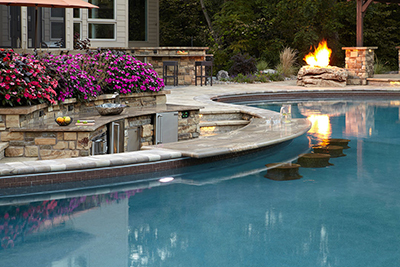 Let Elite Landscaping create an amazing outdoor pool for you and your family!